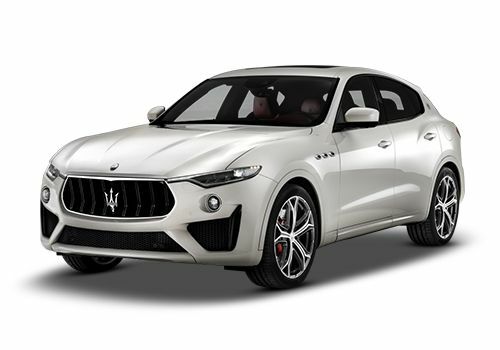 Maserati Levante GTS Exterior"Front Grille - Metallic Finish /n Electrochromic Mirrors External /n Steel Illuminated Door Sills /n Lower bumper elements, wheel arches and side skirts in the carâ? ?s body colour /n Front grille in Black Piano /n Skid Plates in Black Piano /n Rear sport spoiler in the carâ? ?s body colour /n Chrome door sills /n Lower bumper elements, wheel arches and side skirts in the carâ? ?s body colour /n Nereo 20â??â?? machine-polished wheels /n Red painted brake callipers /n "
Maserati Levante GTS Comfort & Convenience"Cruise Control /n Climate Dual-Zone /n Air Quality Sensor /n Cargo Net for Rear Trunk /n Power Boot Lid /n Headrests with stitched trident /n 12-way power sports seats /n Sport steering wheel /n Gear shift paddles /n Inox sport pedals /n Power adjustable steering column /n "
Maserati Levante GTS Saftey"Bi-Xenon front headlamps /n acceleration slip regulation (ASR)/n antilock braking system (ABS) /n electronic brake distribution (EBD)/n Maserati drag torque control (MSR)/n Hill Descent Control /n Hill holder /n Brake Assistance System /n Electronic Parking Brake /n Tyre Pressure Monitoring System (TPMS) with pressure displayed on central digital/n Front Doors Key-Less /n "
Maserati Levante is available in 9 different colours - Nero, Rame, Blu emozione, Bianco, Blu passione, Geigo-maratea, Geigo, Bianco alpi, Nero Ribelle. The Levante is available in three variants - standard, GranSport and GranLusso.